Get kids to help clean the house with these tips…plus, research says kids’ chores do more than just tidy the house. 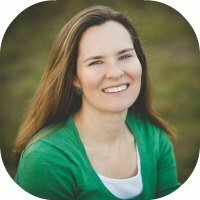 What does getting kids to help with cleaning the house and increasing their odds for future success have to do with each other? That’s because the study found that work ethic is one of the greatest predictors of success in adults. And doing chores as a kid was a key characteristic shared among the 724 high-achieving adults researchers studied. Daily chores are a good place for parents to start building a good work ethic in kids – having kids make their bed, sweep the floor, and feed the dog every day. And spring cleaning is often just that – the dirty work that gets set-aside during the year. The extra effort to scrub the dirt out of the crevices of the mudroom floor, clear the refrigerator of any forgotten food, and give the windows a thorough wash.
Of course, there’s also the most obvious benefit to getting kids involved in spring cleaning – having more hands to do the work means less work for parents. Our family has never been one to do a formal spring cleaning of the house. Sure we’ve made lists and tried to check off tasks one-by-one over time, but choosing a specific time of year to deep clean the house never seemed practical when our kids were young. But this year is different. With daughters who are now 7 and 9, there’s no reason why my husband and I need to be the only ones doing all the work to take care of our house. Getting the girls involved made sense – and knowing that the work they’d do would help them in the long run, made the decision to set aside a “spring cleaning” Saturday even easier to justify. The big question was – how to get the girls on board and how to keep them motivated? Weeks before our spring cleaning launch date I told the girls about the plan – on April 1st everyone in the family would take on deep cleaning tasks around the house, including them. Giving the project a name – spring cleaning – along with a few reminders over the next few weeks, guaranteed that everyone knew the plan and no one could claim ignorance when our spring cleaning launch date arrived. My husband and I have learned over the years that kids are much more willing to take on big cleaning tasks if everyone is doing it together. Kids seem to have a super-charged radar for fairness and there’s no doubt about how much time everyone is putting in if we’re all cleaning together. Getting the job done as a team has the added benefit of making kids feel they’re an integral part of the family. Before we set off to clean the house, our family took a few minutes to go over what exactly needed to be done. Nothing motivates kids more than giving them a say in the planning process – no one likes to be told what to do. Kids can go through their bedrooms, the playroom, and other rooms to determine what needs attention. Not only will kids feel more ownership over the work they’ll do, but hopefully will begin to think about why the family does spring cleaning in the first place. As we started our spring cleaning, our daughters reviewed the list and choose what they wanted to do first. A few instructions were needed about the best way to scrub the mudroom floor or what cleaning products work best when cleaning cabinets, but after showing them what needed to be done, I tried my best to back off. I know too well from experience that micro-managing my kids’ work only leads to frustration and a sense of not living up to expectations. Everyone wants to hear they’ve done a good job and my girls are no different. Whenever kids complete a task, first tell them what they’ve done well. Save any feedback on what could have been done better as a secondary comment and make it sound more like a tip to learn from than a criticism. Cleaning a house can literally be a chore – but there’s no reason why a little fun can’t be added to the work. Cleaning up is so much easier in our house when the girls are able to listen to music in the background. Other ideas for lightening the workload include playing games such as “I Spy” or creating a story with each person taking turns contributing the next word. Our spring cleaning list is long and while I knew my husband and I could complete most of the work in a day, the girls would eventually burn out. If possible, have kids tackle one or two items on the list, take a break for a few hours, and then get back to work. It may also be necessary to spread the work out over a few weekends. The key is to clearly communicate and have everyone understand what the expectations are for when work will resume. Last but not least, celebrate! At the end of a hard workday, be sure to celebrate! Going out to dinner is a special treat for our girls, so once the work for the day was done, we picked up a few burritos at a local restaurant. Other ways to celebrate include having a family movie or game night, going out for ice cream, or whatever else would be a fun reward for your kids. Having a celebration to look forward to can also motivate kids to pick up the pace and complete tasks. Kids – like adults – aren’t likely to embrace spring cleaning as something they really want to do. But even though my girls would probably never admit it – I saw pride on their faces as they successfully scrubbed away built-up dirt from underneath our kitchen island countertop. “Dad! Look how clean it is!” they exclaimed as my husband came up from doing filing work in the basement. And is it possible I detected a sense of accomplishment from my older daughter after cleaning out our pantry shelves and reorganizing the food? Kids will rarely admit to having found even a tiny bit of enjoyment from hard work. But that doesn’t mean it’s not there. Are you ready to get started with kids chores? 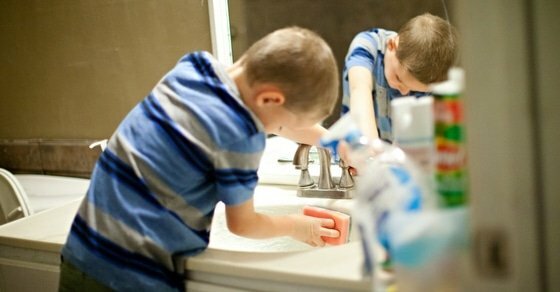 Learn how to be successful with kids chores even if you’ve tried before and failed. 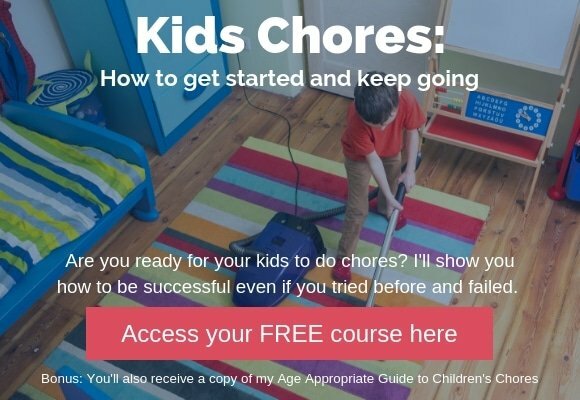 Click here or the image below to join my FREE four-day course about kids chores. You’ll also receive my Age-Appropriate Guide to Children’s Chores as a bonus.